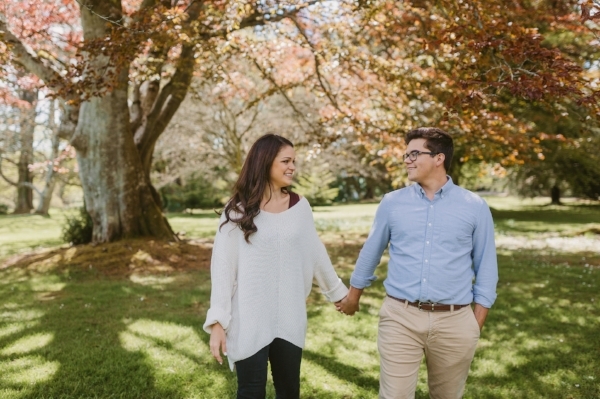 These two have such a special place in my heart and we are SO thrilled to be a part of Mayson + Tyler's April 2019 wedding at Little River Farms! My husband and I are so inspired by the love story and influence of Tyler's parents in our lives and I am excited to be a part of this special wedding day! Mayson and Tyler got engaged this past Fall on a trip to Ireland! Aren't they adorable?! Tyler flew over to surprise Mayson and pulled off an amazing proposal during her family's vacation! We absolutely cannot wait for their wedding day and the opportunity to celebrate alongside them! The surprise was captured by Molten Sky Media!